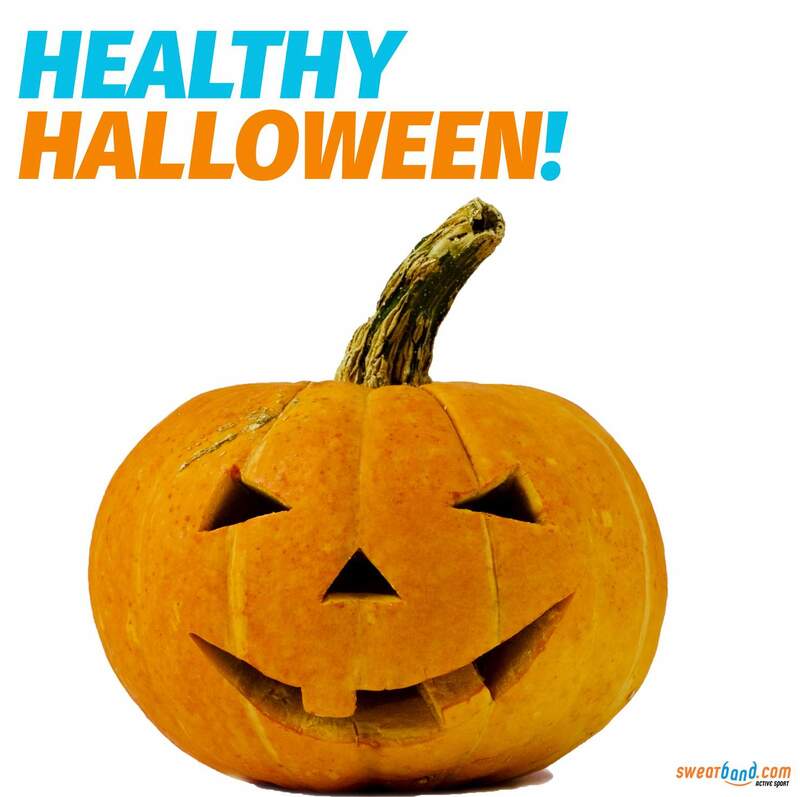 Healthy Halloween are not usually two words that go together. If you stocked up on sweets last year for the kids in the neighbourhood to enjoy only to sit and chomp the unclaimed ones after the light in your pumpkin went out, you need to read this. Halloween is big business for the candymen and women of the world. So if you want to have a healthy Halloween this year there are some simple tricks to keep you away from the treats. Pumpkin soup is a filling and healthy meal light on fat and loaded with fibre, potassium, vitamin C, magnesium, sodium and much more. Use the flesh of a cooking mushroom and spice it up to add a bit more flavour. There are plenty of recipes online and soup is scarily easy to make. What’s more the seeds double up as nutritious croutons. A little oil and a quick roast in the oven crispens them up nicely to add texture and even more goodness to your bowl including antioxidants and filling protein. And eat late to ensure you’re too full to fancy the goodies you’ve bought for the trick or treaters. Avoid your teeth getting into a state fit for a horror movie by keeping the intake of sweet stuff low. There are some great alternatives to sugar that can ensure you avoid it altogether on fright night and beyond. Numerous recipes take sweetness from dates, honey, coconut oil and maple syrup so you can satisfy any monster cravings but go a little lighter on the calories. Alternatively you can enjoy the sweetness of dried or fresh fruit dipped in dark chocolate at a fraction of the calories of traditional sweets. If you’ve got young ones they’ll love nothing better than you chasing them round the park being a zombie or a monster from the deep. If you’re having a party there are plenty of games that will get the heart pumping through activity rather than fear – just by adding a spooking twist to traditional games. Try ‘musical bumps in the night’, ‘freaky football’ or host a ‘strictly come zombie’ dance off. And if you’ve the time to undertake some extra exercise of your own to offset the odd indulgence, do so. A 30-minute HIIT session will roughly consume 300 calories and take away the guilt factor too. We’re not ones to ordinarily advocate wasting food but excess is ugly and temptation can be avoided if there’s no naughty food in the vicinity. It’s a general rule that sweet supplies on Halloween are individually wrapped and in all likelihood the haul of your offspring will be beyond what they need – and probably also more than they deserve too. Here in the UK foodbanks are on the rise. While it’s not the best food you can donate, if it’s sealed and safe we say give it away. If it’s not and you don’t trust yourself around it, throw it away. If you’re working hard year-round the odd deviation is manageable. So don’t beat yourself up if you do have a little more than you would the rest of the year. 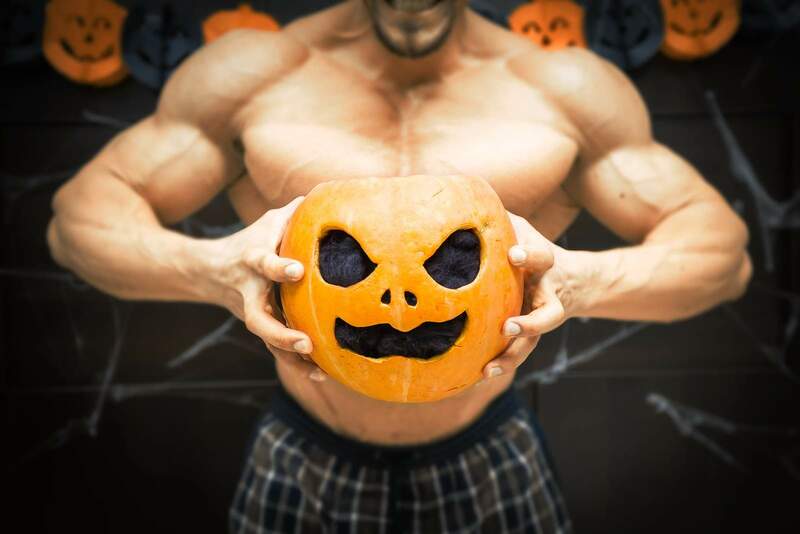 Counter extra calories with added exercise and reduced calories from food for the remainder of the week and you’ll be back on track after a healthy Halloween to achieve your ghouls.